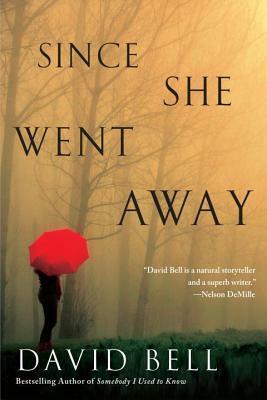 Let me begin by saying that this is the second book that I have had the pleasure of reading from David Bell. The main reason being, that I am not a huge fan of thriller mystery books because I get anxious and go a little crazy wanting to piece everything together. However, this read had me guessing the entire time! I totally fell in love with the way the author get's the reader fully involved and lost. This type of story telling is exactly what I was expecting from Mr. Bell after reading Somebody I Used to Know. Well enough about my thoughts, let's get to the juicy stuff! Jenna's best friend Celia disappears unexpectedly and on the night of her disappearance, Jenna had plans to meet with Celia at the local park. Jenna was a few minutes late and when she finally arrives Celia is no where to be found. This makes Jenna feel a lot of guilt and leads to Celia's disappearance being the center of the media's attention. In the mix of this dilemma Jenna's son Jared meets a new girl at school named Tabitha. Tabitha comes from a very strict family with lot's of rules and it seems that Tabitha has several secrets of her own! One afternoon, Jenna surprises Jared and Tabitha at home and it is clear that Tabitha's secrets run very deep. This makes things complicated because Jared is really into Tabitha and he wants to be with her and Jenna has her reservations. From the beginning you can assume that the main twists and turns will be focused on Celia’s disappearance and Tabitha’s story. I felt both stories were equally played out and well written by the author. You can’t help but find yourself fully engaged in trying to find out how the two are related and how things will end. I absolutely fell in love with the characters and how the story developed. I thought the characters were realistic and well developed. The story line at times seemed to move a little too quickly but overall it was not that bad at all. The read has several twists and turns that keep you on your feet and the plot was extremely interesting to say the least. If you are looking for a really good mystery thriller that is fast paced and a quick read this is the book to read! Therefore, I give this book a 3.5 Owl rating.